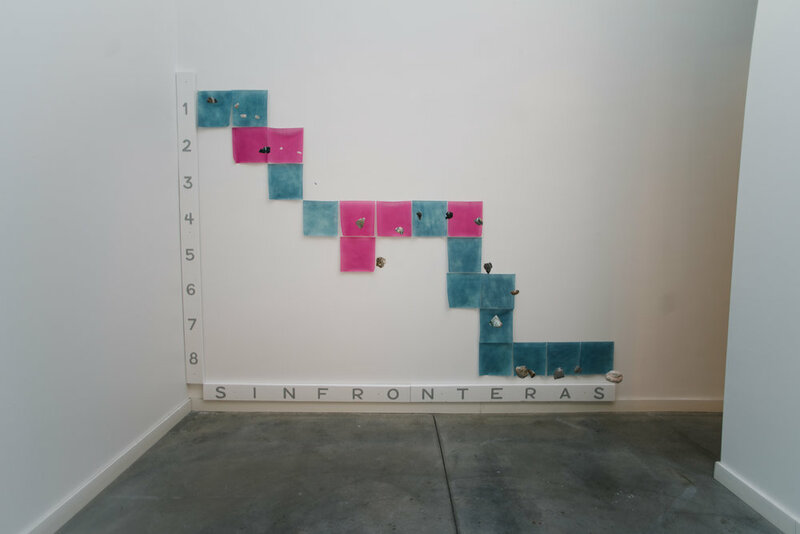 Sin Fronteras explores the relationship between the border as a nonobjective geographical landscape and as a politicized place. Suspended from the ceiling, native minerals represent the border region in the state of Texas. Red and blue natural dyed cloth create a grid on the gallery wall representative of how different counties voted in the 2016 presidential election. 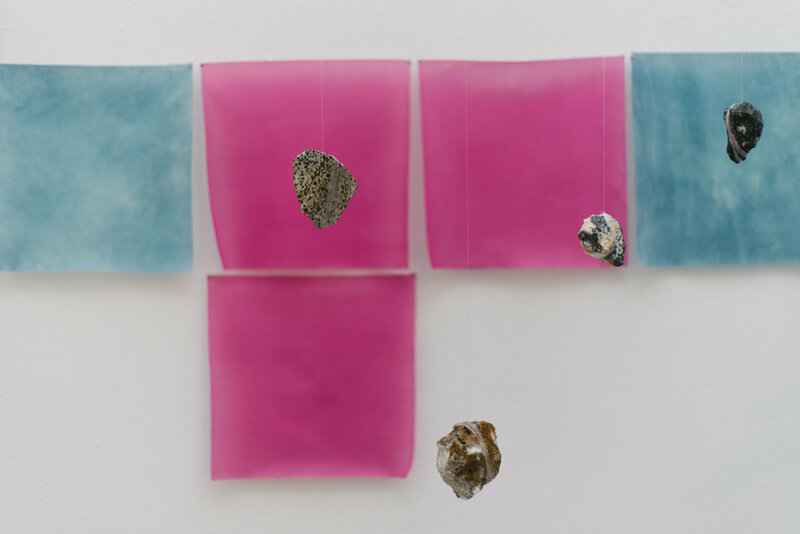 With the use of Texas-Mexico border native minerals, cochineal red and indigo blue natural dyed cloth, and the grid, Tierra Firme suggests a minimalist approach to data imaging to represent geology and politics found along the frontera.